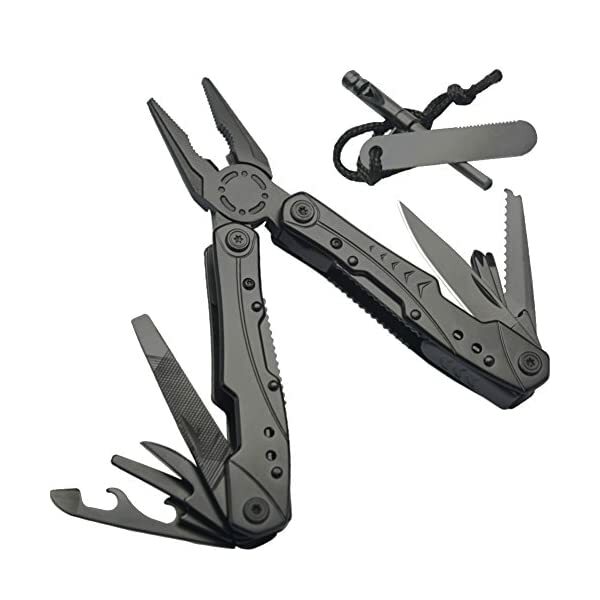 14 in 1 MultiTool (HARDENED STEEL) Multi Purpose Pliers, Knife, Ruler, Cable Cutter, Needle Nose Pliers, Saw, File, Screwdrivers, and More! Carry Case Included! 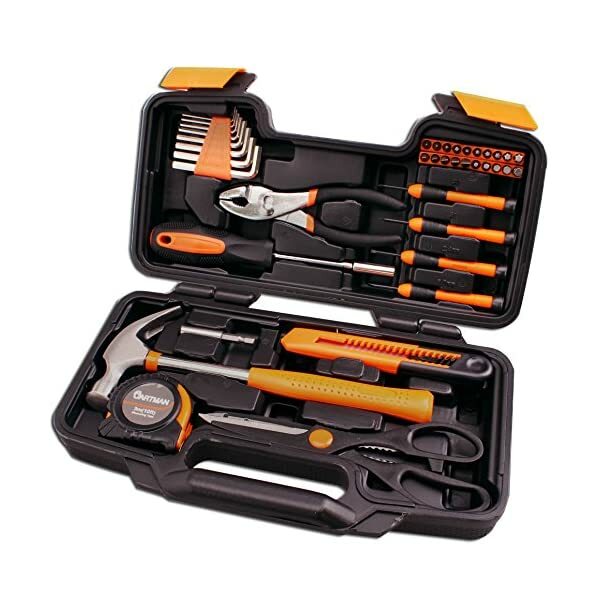 CONVENIENT CARRYING CASE INCLUDED - Heavy Duty Nylon Case With Velcro Closure. Belt Loop Strap also Included. 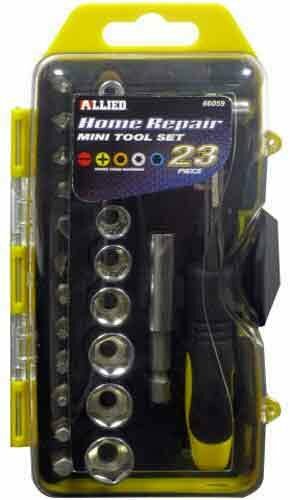 8 SAE Hex Keys: 1/16", 5/64", 3/32", 1/8", 5/32", 3/16", 7/32", 1/4"
15-In-1 Versatility: Includes 15 integrated tools, from pliers to screwdrivers. 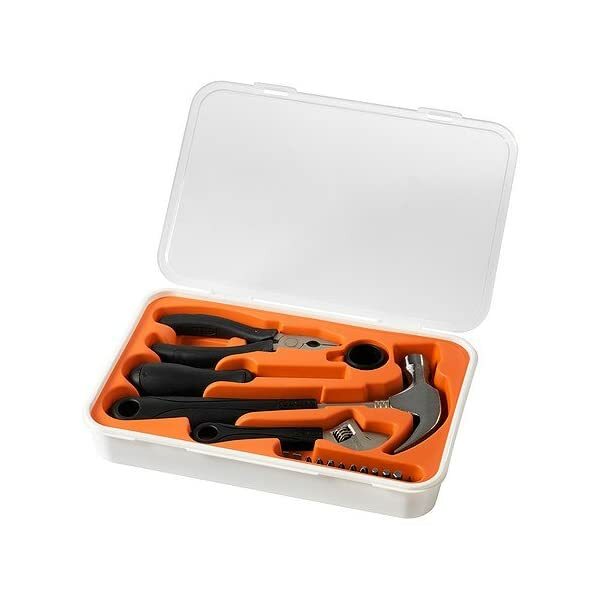 Perfect for quick fix-it tasks while on the road, camping, or fishing. Heavy-Duty Construction: High-quality engineering guarantees years of reliable performance. Stainless steel resists corrosion. Easy To Use: Compact folding design features non-slip handles and spring-loaded functionality to reduce hand fatigue. READY FOR ANYTHING: The Rebar is inspired by Tim Leatherman's original PST. With all the features for the toughest tasks in a smaller, slimmer size, the Rebar is right at home on the job or at the house. 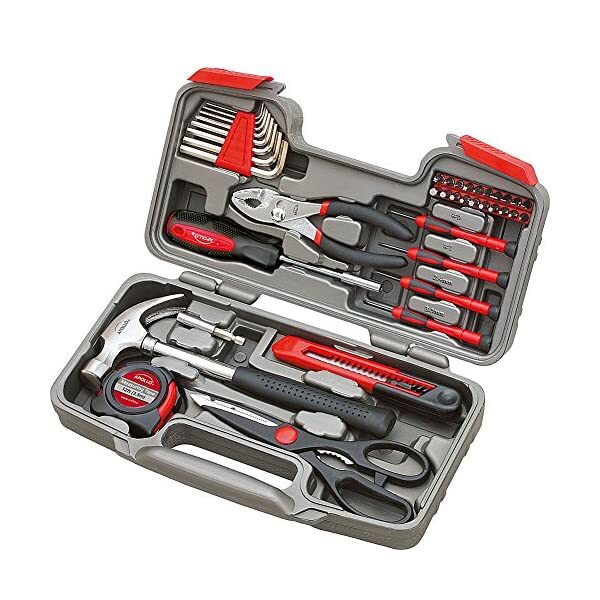 FIT MORE FUNCTIONALITY: Needlenose and regular pliers, replaceable hard-wire cutters, electrical crimper, wire stripper, plain and serrated knives, saw, awl with thread loop, ruler, can and bottle openers, wood/metal file, Phillips screwdriver, and small and large screwdriver. ALWAYS ON HAND: With its compact size, lightweight design, and lanyard ring, your Rebar is always within reach and ready to work. READY FOR ANYTHING: The Rev is a toolbox in your pocket. Put it to the test under the hood, at the campground, or around the house. 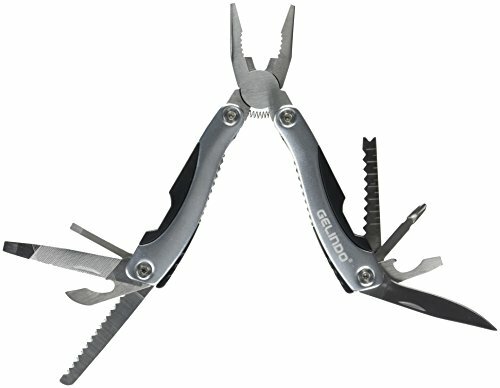 And when the day is done, crack open a cold one and celebrate your new favorite multitool. 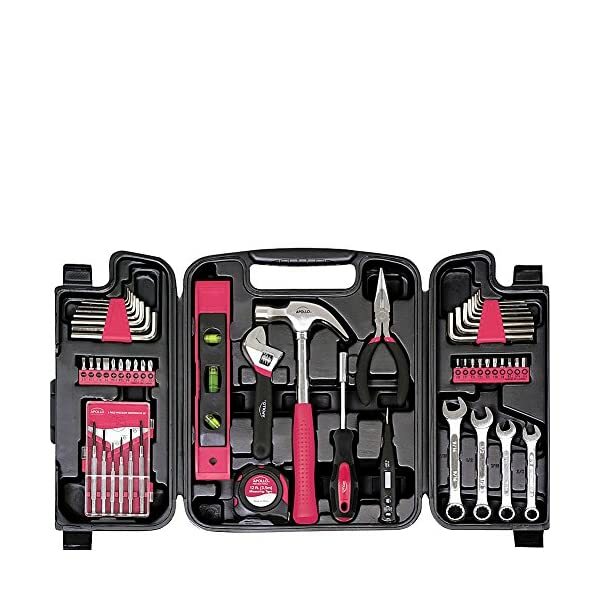 FIT MORE FUNCTIONALITY: Needlenose and regular pliers, hard and regular wire cutters, wire stripper, knife, package opener, wood/metal file, can and bottle openers, ruler, Phillips screwdriver, and small and medium screwdrivers. LET'S BE PRACTICAL: Sometimes you need to fix something fast. With the Rev's outside-accessible tools, you can get the job done quickly and effortlessly. And with all-locking blades, you can cut with confidence. READY FOR ANYTHING: The Sidekick is a great choice for first-time multitool-users or experienced users who want easy, all-around functionality. Never leave home without your very own Sidekick. 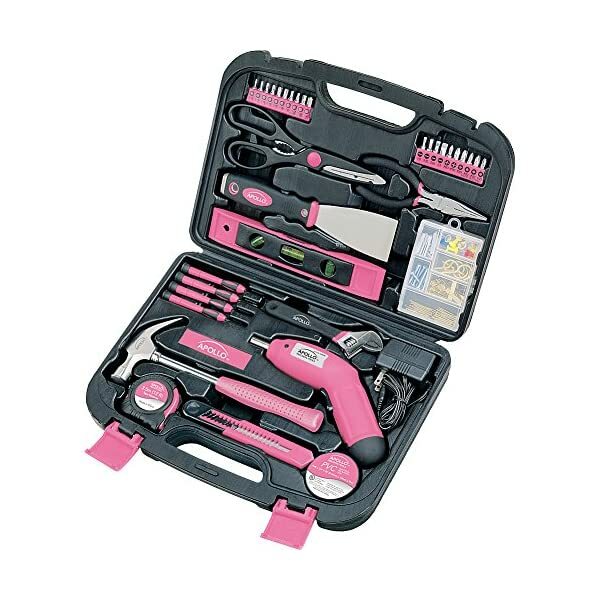 FIT MORE FUNCTIONALITY: The Sidekick is equipped with 14 tools, including knives, pliers, screwdrivers, wire cutters, bottle and can openers, a file, a saw, and a ruler. LET'S BE PRACTICAL: Sometimes you only have one hand to spare. Sidekick has a mix of outside-accessible and one-handed tools so you can always be the hero. And with locking blades, you can cut with confidence. 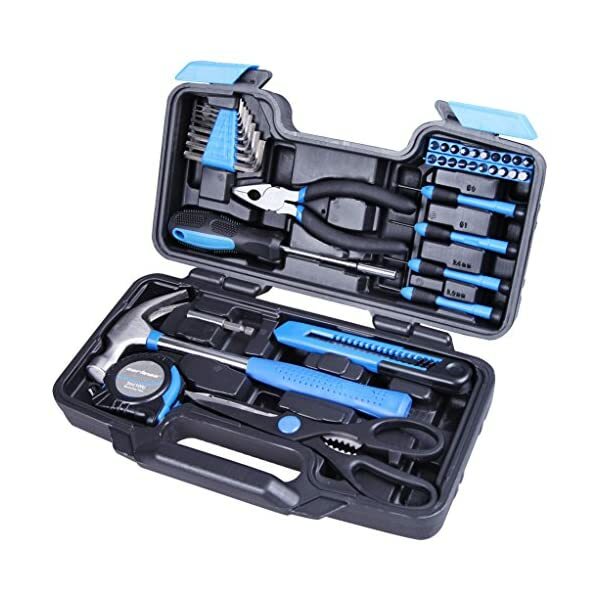 FEATURING 7 TOOLS: Needlenose Pliers, Regular Pliers, Hard-wire Cutters, Wire Cutters, 420HC Combo Knife, Carabiner/Bottle Opener, Large Bit Driver. 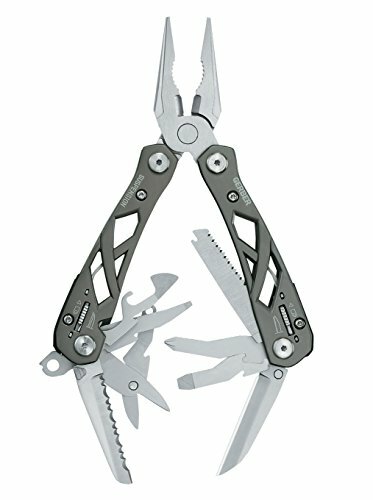 LOCKING BLADE: The knife blade on the Skeletool locks into place when fully deployed and must be manually unlocked to fold away providing a much safer user experience. 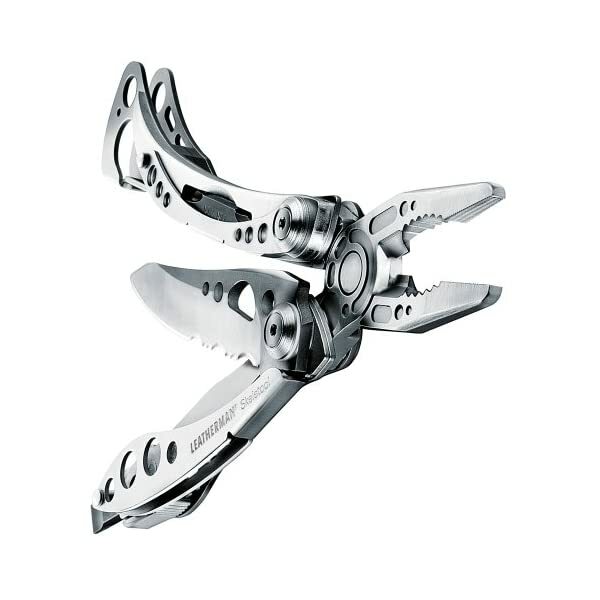 OUTSIDE-ACCESSIBLE TOOLS: The Skeletool features tools that are accessible while the tool is in its folded or closed position, mimicking the functionality of a pocket knife. READY FOR ANYTHING: The Surge is one of our largest multitools and a real powerhouse. 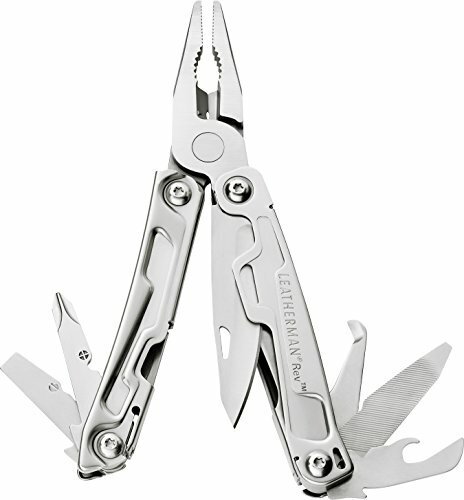 Built with our largest pliers and longest multitool blades, it's perfect for tough jobs and the hands that do them. 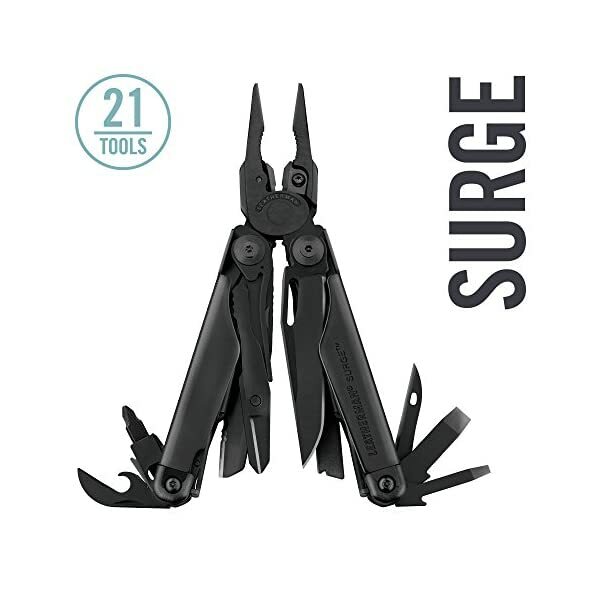 FIT MORE FUNCTIONALITY: The Surge is equipped with 21 tools, including knives, pliers, screwdrivers, wire cutters, an electrical crimper, a wire stripper, scissors, bottle and can openers, files, a saw with blade exchanger, an awl, and a ruler. LET'S BE PRACTICAL: Sometimes you only have one hand to spare. The Surge only requires one hand to open and use all the tools, even the ones that aren't accessible from the outside. And with all-locking features, you can use it with confidence. ✅BE PREPARED FOR ANYTHING... You never know when you'll find yourself in situation needing a screwdriver, pliers, a can opener, or a knife. So it's always best to be prepared. 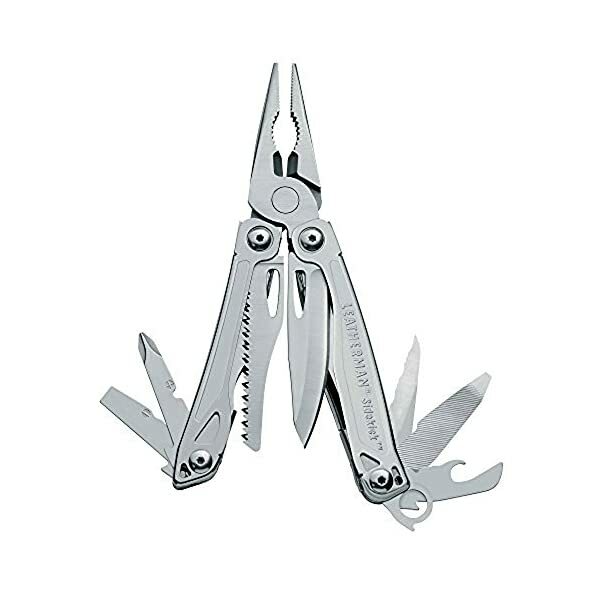 We recommend keeping our ultimate survival Pro-Master 15-in-1 Multitool Pocket Knife in the glove box of your car and one at home. 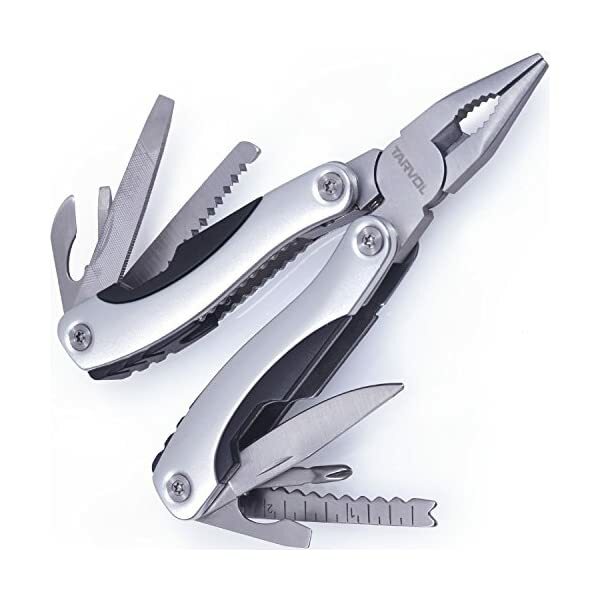 RECOMMENDED BY SKILLED ARMY OFFICER VETERAN - If you are looking for a premium, heavy-duty pocket knife that's as tough as you are, then you will love our Pro-Master Multitool Pocket Knife Set and Sheath Holder. We designed our multi-function survival pocket knife tool with today's toughest soldier and outdoorsman in mind. 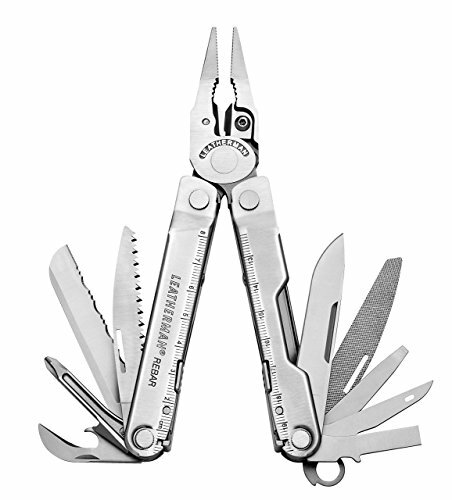 YOU DESERVE THE BEST 15-IN-1 MULTITOOL! 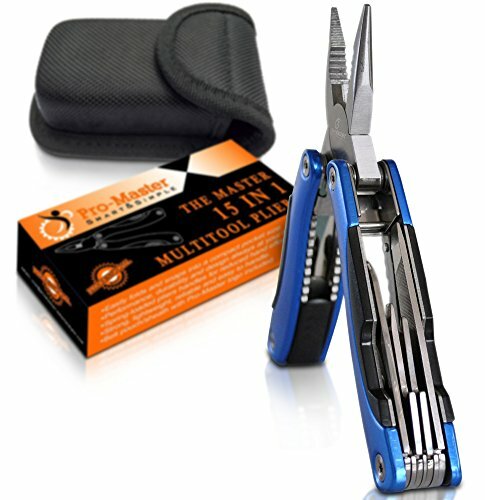 Our premium multitool set includes all these important tools in one handy pocket knife - wire cutter, needle nose pliers, regular pliers, double-sided nail file, hook remover, can opener, folding saw, sharp knife, bottle opener, small, medium, and big screwdrivers, Philips screwdriver, fish scaler, & a ruler. 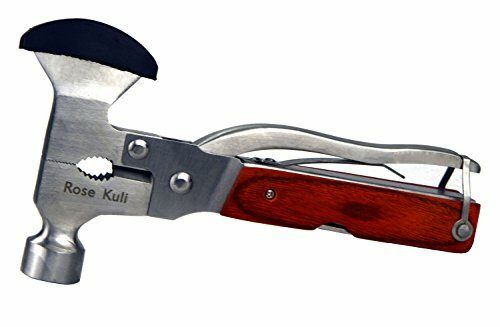 Multi-Purpose Tools Kit: This Multitool With Smart Fire Starter,It is Easy to Get Fire When You are During Field survival. It is Best for Camping, Fishing, Hiking, Cooking, Hunting, Picnic, Home, Road Trip, DIY, any Outdoor Activities and More. 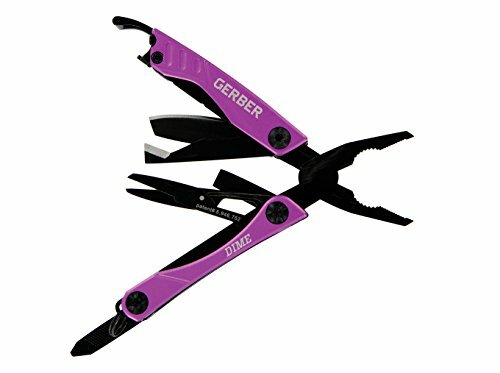 Ergonomic Design for Both Hands：No Matter Whether You Rely on Your Right or Left Hand to Grab and Handle, this Multitool Pliers with an Ergonomic Handle that's Symmetrically Flat to Suit Both Righties and Lefties. Multi-function tool,Canvas carrying bag,Integration design, convenient to use.